Alex DIY Paper Swirls | Happy Up Inc. 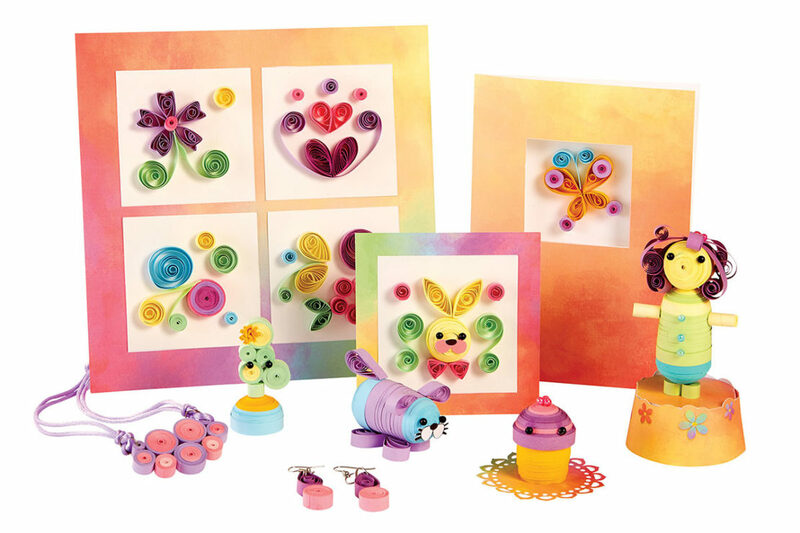 Introduces young crafters to the world of paper quilling; making art with rolled paper strips. Unfamiliar with paper quilling? It’s a very old form of paper art, tracing its origins to religious decorations from the 15th century. 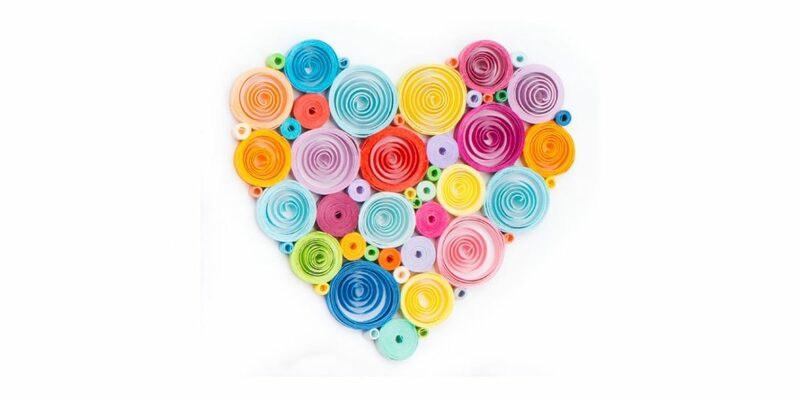 To see some examples of a modern quilling artist, visit Yulia Brodskaya’s portfolio on her website. Her work is absolutely amazing! 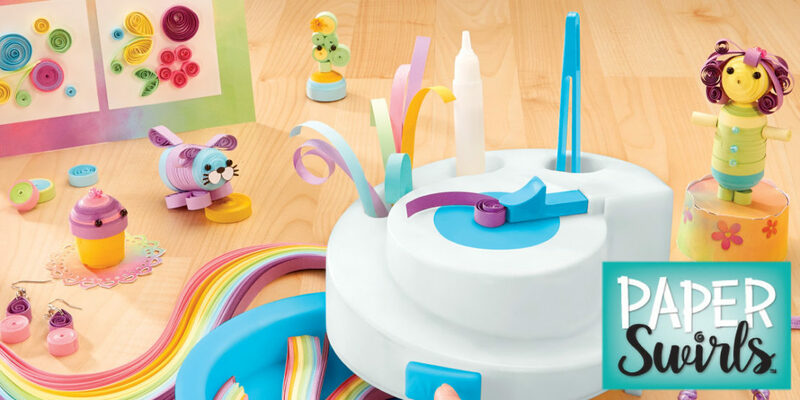 The Swirl Station makes quilling easy for young crafters. The machine rolls the strips in seconds. 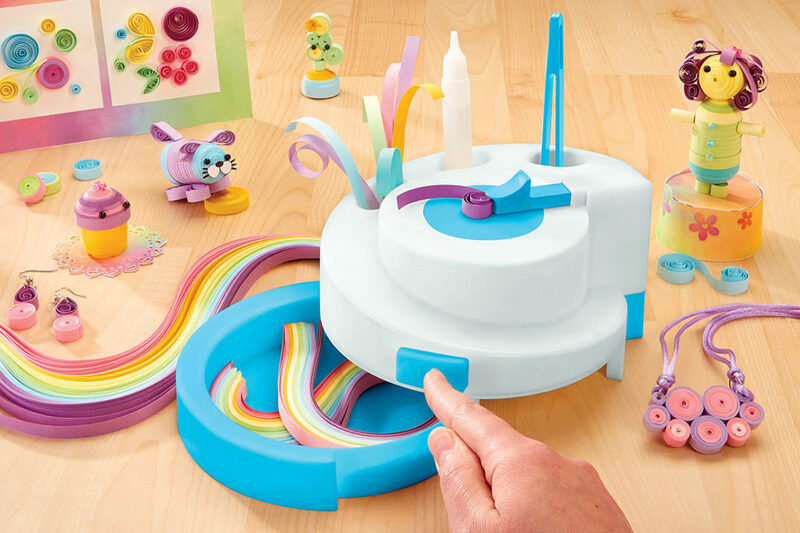 The instruction booklet teaches you how to make lots of suggested shapes, or you can swirl around body forms to make bigger creations. 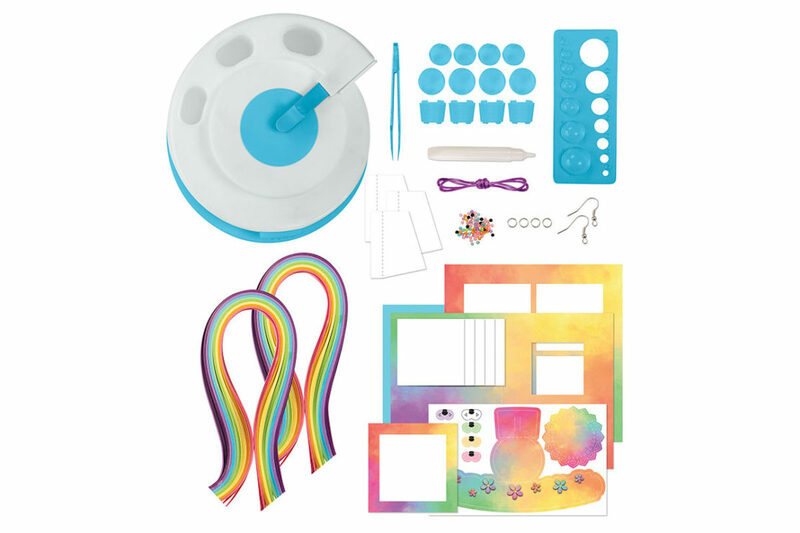 Make art, cards, toys, jewelry and more! 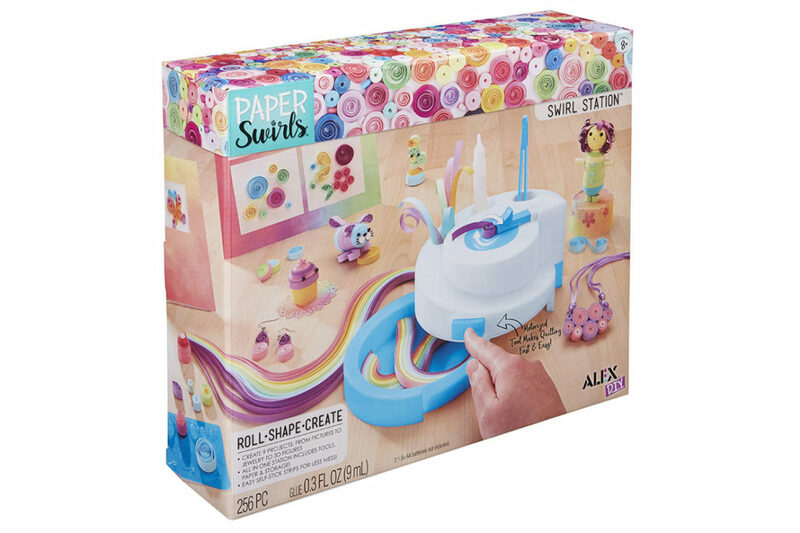 Includes: “Swirl Station” Motorized Quilling Machine, 200 Self-Adhesive Paper Strips (0.28in/7mm wide), Quilling Board, 12 Body Forms, Tweezers, White Glue (0.3oz/9ml), 20 Beads, 6 Jewelry Findings, Polyester Satin Cord (40in/101.6cm), 8 White Cards, Envelopes, 4 Preprinted Cards and Papers and an Easy Instruction Booklet. Requires 2 “AA” batteries (not included). Paper thicknesses may vary. Larger coils may require more paper strips than appear in the instructions. Paper Swirls Project Pack and extra papers also available.